Whenever I think of Kelantan, the first thing that comes to mind is jala mas. It was introduced to me by my friend Nurul during my teaching days in Selancar. And the first reaction I got from my Malay colleagues while seeing me eat was, "Tak manis ke?" which meant, isn't it sweet? Yes they are sweet, but it's not meant to be eaten like chomp chomp chomp. If one were to slowly savour it, thread by thread, it's actually very nice and fragrant. Some are very sweet and sticky, but not all. Some smelled eggy, but not all. This kuih is originally made with duck eggs, but nowadays have also been made with chicken eggs because duck eggs is kind of expensive to use. I saw a few recipes, all with different ratio of sugar and water. I tried a diluted syrup to make and it didn't work out. I still had to boil it until it seems syrupy before beautiful strands can form. I also tried using just pandan to infuse the syrup, but the eggy smell remained. Cinnamon wasn't it and then I tried adding cloves. It somehow smelled better, almost like the better ones I bought in Kelantan. I used some rock sugar to cut down on the sweetness but still maintain a high sugar content. Health warning: High cholesterol due to egg yolks. But then again, it's about how you eat. Eating one piece a day is not the same as chomping 5 in a go. Ok, I'm guilty, very guilty. The last time I had one was before I even had Lydia, and so after 7 years of drought, I just chomped 5 in a go during my first attempt. I don't get to eat Jala Mas every year. Then for the next few days, I avoided eggs. The 2nd time I made this, I made sure I was disciplined and kept them in the fridge to be slowly enjoyed over a few days. 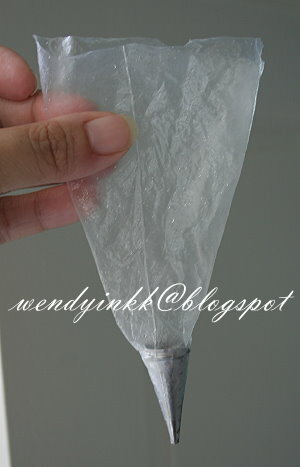 Special Utensil: 1 piping bag with 2mm round nozzle. Or banana leaf formed into a cone with small hole at the tip. 2. 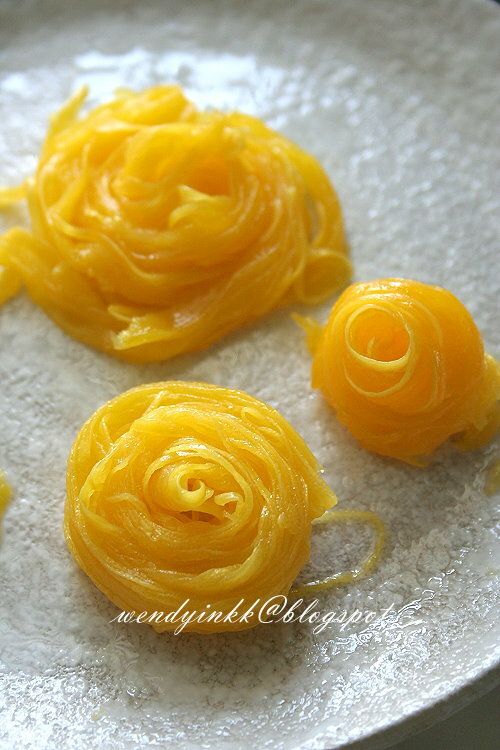 Meanwhile lightly beat egg yolks and strain to remove lumps. 3. Put in sugar into the simmering syrup and cook until dissolved. Remove pandan and clove. 5. Lift the ready jala mas onto a plate. 6. Repeat until all yolk is used up and discard the syrup. *If it looked and felt wet, zap it in the microwave to dry up a bit. It gives better mouth feel when the jala mas is drier. I tried making a video on my own...I think it'll be much clearer than to just describe with words. I sound funny here. How come I always sound funny when recorded? Or is it they way we hear ourselves is not the same as how others hear us. I missed to try this during my trip to Kelantan, and I found they like to use duck eggs for their sweet, even kaya also 100% use duck eggs. 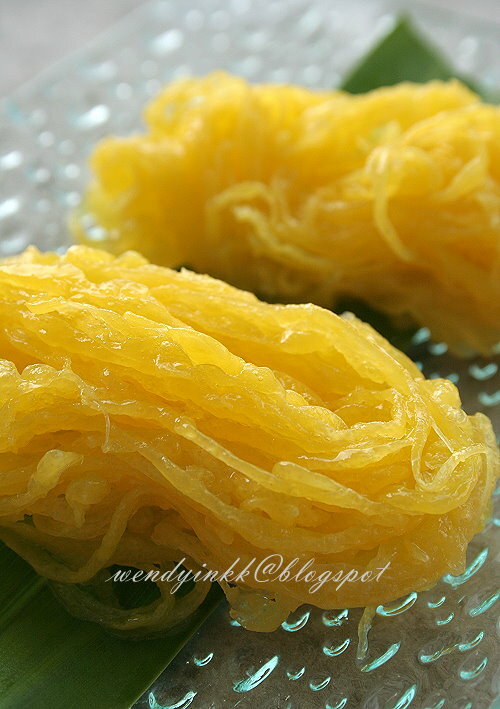 I also eaten one interesting sweet Tahi itik using egg white!! Interesting! I am watching this on silent mode in office so can't hear your voice lol! Interesting dessert. I stayed in Kemaman, Kelantan when I was kids. I was too small to know Kelantan food. The food my mum usually buy is rojak and Laksa(white sauce). 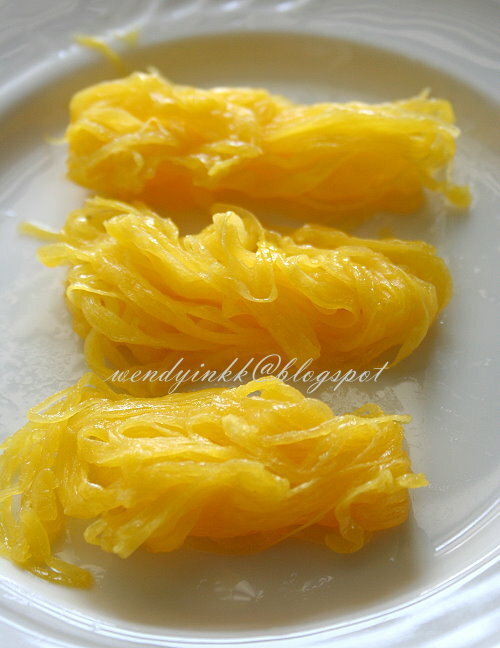 I never had this before, from the photo I also thought is roti jala. 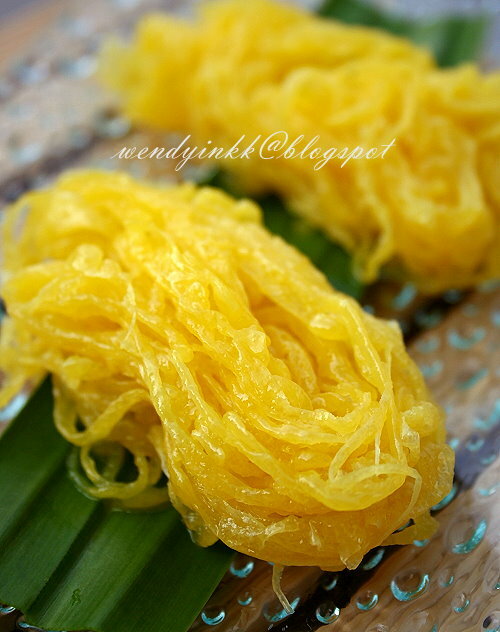 Wendy...thanks a million for the video, as a Kelantanese my self,never did I dream of making this myself even though I love jala mas. But now I cant wait to try making this my own. 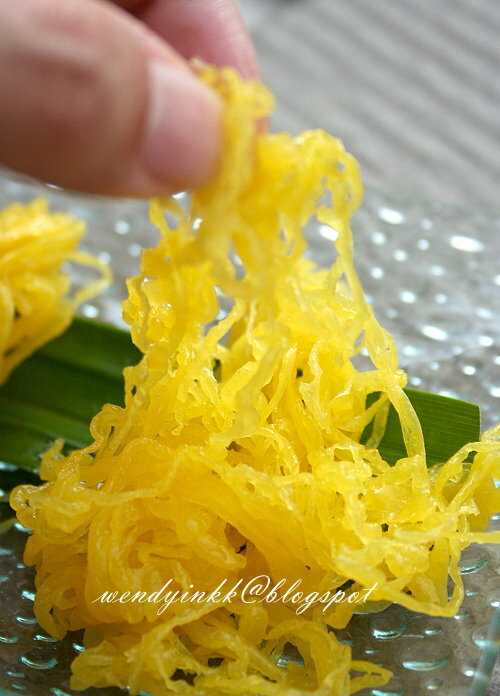 First time I heard about this Kuih Jala Mas. I loved the beautiful and intense yellow in them. Great job dear. Never try this as I prefer to buy and keep it in freezer for stock. Just wanna check, how do you include the remark on the above this comment box?